Happy Monday Everyone! 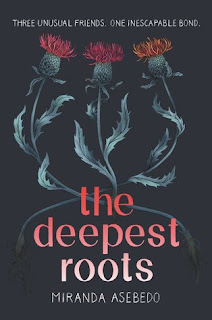 Today I’m excited to have debut author Miranda Asebedo here to share about her YA contemporary/magical realism THE DEEPEST ROOTS. I always love stories with magical realism and this is a thriller too. Can’t wait to read it. Before I get to my interview, I have my IWSG post. 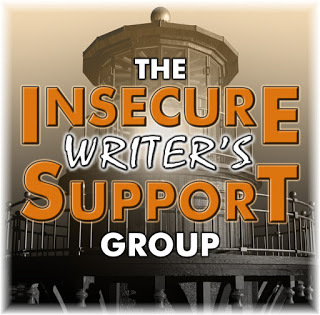 Posting: The first Wednesday (Tuesday this month)of the month is officially Insecure Writer's Support Group Day. The co-hosts this month are: Dolorah @ Book Lover, Christopher D. Votey, Tanya Miranda, andChemist Ken! 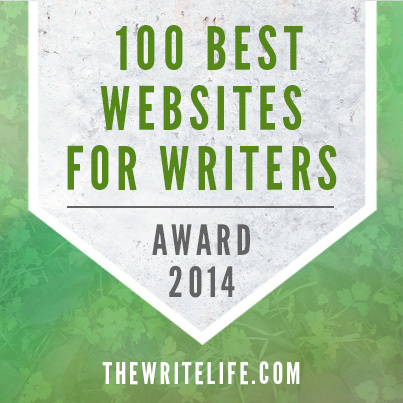 Optional Question: How do major life events affect your writing? Has writing ever helped you through something? I have gone through many life changes since I started writing. 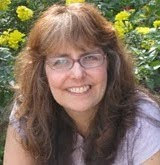 Many of the earlier ones, like death of my sister and many of my late husband's health challenges made life too busy to write with work, being a caregiver to him, being a mom, and maintaining this blog. My most recent life change is my most major one: the death of my husband suddenly, loss of job and career change, and become an empty nester within 18 months has been the most challenging. I've shared about it some before. I've lost a lot of who I used to be in the process. My new career is as a contract writer at home, and I love the writer's life. In my low points, writing is comforting. I'm still figuring out who I am and how much writing stories fits into that. I don't know anymore and will keep you posted. I do know that I'm a really strong person and will this all out some day. It just takes time. And I'm sorry that I'm not around as much as I'd like recently. Right now I'm producing Shakespeare in Love and being the assistant director for my boyfriend, who is the director. It's the first year that the play could be produced by community theaters and we're one of three in Michigan that got the rights. It's been a lot of work, which included getting about $1,200 in sponsors. The play runs 11/8-11/17. I'm excited about it but also looking forward to 11/19 when it will be over and I can slow down, visits blogs more, write for myself, and relax. Until then, I apologize if I don't stop by your blog as much as usual. Now onto my interview with Miranda! Best friends Rome, Lux, and Mercy all have similar talents, but to them, their abilities often feel like a curse. Rome may be able to Fix anything she touches, but that won’t help her mom pay rent or make it any easier to confide in Lux and Mercy about what’s going on at home. And Rome isn’t the only one. Lux has been hiding bigger, more dangerous secrets. As Rome struggles to keep her friendships close, she discovers the truth about life in Cottonwood Hollow—that friends are stronger than curses, that trust is worth the risk, and sometimes, what you’ve been looking for has been under your feet the whole time. Hi Miranda! Thanks so much for joining us. I grew up in rural Kansas, and I loved books and telling stories. I got my Bachelors and Masters degrees in English in Creative Writing and Literature, and then I got a job teaching at a university as an instructor. The great thing about this job was that it gave me a flexible schedule, so I was able to write and still have a “day job” to pay the bills. I took the traditional route of querying and publishing, and THE DEEPEST ROOTS was plucked out the slush pile at Nelson Literary Agency. 2. Where did you get the idea for THE DEEPEST ROOTS? This is a fun story! A few years ago, I lived in a mobile home out in the middle of a huge, open field, and I waited too long to leave during a tornado watch. By the time I knew I had to get out of there and find a storm shelter, it was far too dangerous to leave, and the watch had turned into a tornado warning, sirens blaring. So I had to stay in the trailer and hope for the best. Talk about a terrifying hour of my life! But I was recalling that storm in the summer of 2016, and about how a storm could change the course of a person’s life. And I started imagining a teenage girl in that storm, and how she might react in that situation, and how it might affect her. That girl eventually became Rome, and that’s how I got the opening scene for the THE DEEPEST ROOTS. 3. Yikes! That sounds like a really scary experience. I’m a huge fan of magical realism. Share how you developed the magical elements into your story. 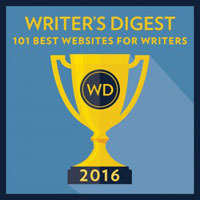 What advice do you have for other writers wanting to write in this genre? I knew I wanted to write a story that contained magic because I love stories with magic and ghosts and curses! I’m a huge fantasy fan, but I wanted this story to be contemporary, and to reflect the kind of modern problems that girls and women face in places like rural Kansas. So to give a very “ordinary” kind of world this sheen of magic was so much fun! Places like Cottonwood Hollow have a lot of history, so I first set up the backstory for the town, and out of that came the curse and the magic of the girls who live there. The talents that the girls possess are all skills/abilities that would come in useful if you were a pioneer woman out on the prairie, so in many ways the magic is framed around the setting of the story. My advice for other writers is to think not only of characters, but of setting when creating a system of magic. What kind of magic would characters need to survive or thrive in this environment? 4. Your book is set in Cottonwood Hollow, Kansas, not the most usual setting for any sort of fantasy. Share why you chose this as a setting and what your world building process was like. disappointed that books were rarely set in a place that was recognizable to me. There were books set in New York, LA, and other huge cities. There were books set at the beach, or on vacation in France. There were not books set in towns where there are more cows than people. And that’s the world I grew up in. So when I decided to write this story, I knew it had to be set in rural Kansas. And I’ve been so lucky to hear from other Midwest readers who identify with the girls and their hometown. For me, the world building process was very easy because it was essentially “write what you know.” I grew up in a town of 150 people, so Cottonwood Hollow was “big” compared to my hometown! 5. Glad you gave us all this more normal setting. This book is also about the friendships between Rome, Lux, and Mercy. It’s been described as a very realistic friendship and messy. Which character was harder to develop of the three? Why? I love all three girls, but there were aspects of Rome and Lux that were hard for me to develop. For example, Rome had a very hard time expressing herself, and as a writer, this isn’t usually a problem for me. I know how to use my words. So there were some scenes where I had to really put myself in Rome’s shoes and try to understand how she would show love or fear with her actions rather than with her words. For Lux, the most difficult part was the battle between her vulnerabilities and her sharp edges. Lux is dealing with some big problems at home, and so she’s trying to put up walls to keep it a secret from her friends. I wanted to show that Lux was trying to keep her distance so as not to reveal her crisis, and that sometimes that distance revealed itself as indifference, or sarcasm. But I also wanted Lux to be likeable as a character, and to show that her behavior wasn’t always so distant, so it was a struggle to maintain that balance. 6. It sounds like this story is filled with mysteries and is a real page turner. How did you weave your mysteries into the story and maintain a fast pace that makes readers want to keep reading? Definitely through a lot of revisions! For me, a first draft is always really fast. But after that, it’s a matter of picking up all the threads of the story and weaving them a little more deftly together. So by the end I had my “reveal” of the answers to the questions throughout the book, but I had to pull all those threads through the story so that they’re always present, even if they’re not obvious. 7. Your agent is Kristin Nelson, someone I’ve always admired. 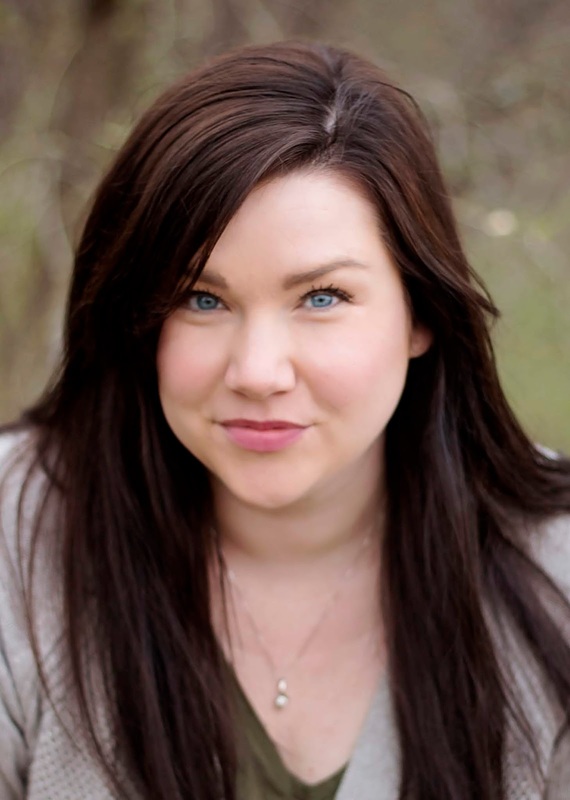 Share how she became your agent and what your road to publication has been like. Kristin and everyone at Nelson Literary Agency are fabulous. I am an old-school publication story! I didn’t do any Twitter events or go to conferences to pitch my book. I cold-queried after a lot of research on agents that I would like to represent me, and my query was plucked out of the slush pile. After I signed with Kristin, we did some revisions. Most books don’t immediately go from the slush pile to the auction block! There’s actually quite a bit of work that goes in before that. NLA has an in-house Director of Literary Development, Angie Hodapp, so she read through and gave me notes, as well as Kristin. When we felt the book was ready, we went on submission. THE DEEPEST ROOTS sold at auction a couple of months after that! 8. That's great to know the slush pile works. How are you planning to spread the word about your book? What advice do you have for others about marketing their debut book? I’m doing a lot of work on social media to spread the news about my book. I’m also doing some signing events, author panels, and school visits. The best advice I have for authors is to start building your social media platform before you get your book deal! Most of my strongest supporters on social media are people I met online through Twitter or Instagram before I even had an agent. But your social media platform is the best, easiest, and cheapest way to get the news out about your book, so don’t wait to start working on it! 9. That's great advice. What is something that has surprised you about the time from signing your book contract and now debuting? I think one of the biggest surprises was how many times I would read my own book! From edits, to copy edits, to pass pages, there are sometimes when I think I could recite the chapters by heart! I am just finishing up edits for my second YA novel, A CONSTELLATION OF ROSES, which is out from HarperTeen in Fall 2019. Like THE DEEPEST ROOTS, it’s a contemporary with a twist of magic. It’s also set in the same world as THE DEEPEST ROOTS, so keep your eyes peeled for a few Easter Eggs! 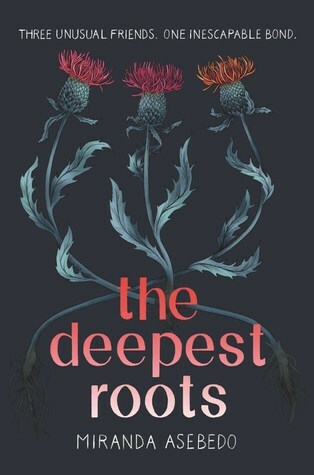 Miranda is generously offering a hardback of THE DEEPEST ROOTS for a giveaway. To enter, all you need to do is be a follower (just click the follow button if you’re not a follower) and leave a comment through October 20th. If your e-mail is not on your Google Profile, you must leave it in the comments to enter either contest. Sounds like a great book! I've added it to my Goodreads TBR :-) Happy IWSG day! It sounds like your life is full right now! I'm so glad for you. The Shakespeare project sounds fascinating! You've been through many ups and downs. Hopefully, it makes you a better writer. Miranda's book sounds lovely. Cottonwood Hollow sounds like an intriguing place - great premise! Natalie, you have gone through so much. The person you are becoming will definitely be stronger. Good luck with the play and sleep all day when it's over. Miranda, I would not want to be trapped in a mobile home during a tornado. Hi, Natalie! I'm glad writing has been there for you during times of grief and new beginnings. Producing a theater show sounds very cool. Sometimes great things come from slush piles. Natalie, I hope the play is a huge success and you survive to collapse afterwards. October is my busiest month and I am so looking forward to Oct. 31st when I can breathe again. You know that you're my role model, Natalie. Congratulations on that play. I'm sure it's going to be wonderful. I love the concept for The Deepest Roots. It sounds terrific. Wow, that's a lot of sponsorship. Well done, Natalie. Looking forward to hearing how the play is going! Natalie, I totally feel you! I've been involved on the production end of a few productions, but not for many, many years. That level of stress is...whew! I'm wishing you well through it! Natalie, you've had some BIG life events. Somehow we manage to get through/past those events, a changed person with a whole other life ahead of us. Wishing you the best on your journey. Miranda, sounds like a great story. Best wishes. That is a lot of tragedy in a short time. You are resilient. And it looks like things are looking up. Good luck with the play. Nice to meet you Miranda. Good luck moving forward. The book sound great. Wishing you much success. Miranda's book sounds fabulous! And so does helping direct Shakespeare in Love. Have fun with that. I can somewhat relate to your life changes. When I was young, I lost not only my mother, but both grandmothers, all within a six-month period. That was tough. Pushing through can sure show you who you are, even if it changes, doesn't mean such things are any easier though. I am so sorry for your losses and so impressed with your strength. You are a powerful woman. I love the premise of Miranda’s book. Good luck with the play. I didn't know about your losses and your struggles. My heart and prayers goes out to you. It sounds like you're on the road to recovery. I love the theater. Enjoy and have fun with this new adventure. You are a strong young woman, Natalie. God bless you. Miranda, love the idea of your novel. Congratulations. Adding it to my to read list. Best of luck to you. @Natalie: pity I don't live in your area. I would've gone to see the play. @Miranda: your world sounds fascinating. Life changes us in unexpected ways and that of course means our writing changes too. Miranda, your books sounds wonderful! You are such a strong person. I don't know that I could have handled all you have. Best wishes on your new project. Oh Natalie, such huge life changes you're dealing with & having to heal from, no surprise that you wonder who you are. Your strength & determination to work it out shines through in your words & I look forward to being around when you do. Congrats on the play & the amazing fundraising! 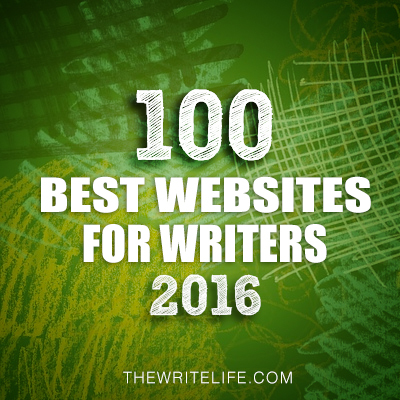 Natalie, You are dealing with so many life changes, yet you keep updating this blog and helping the writing community in so many ways. You are inspiration for me. Good luck to Miranda. Her book sounds lovely. Good luck with the Shakespeare in Love production! Congrats to Miranda. The cover is lovely and the book sound really interesting! Sounds like you have a lot on your plate but you've been very productive. Congrats to Miranda! I love the book is in a normal setting, and scary about the tornado. Yikes! Good luck with the play, Natalie! You're a strong woman, a big inspiration. You've had a lot of life changes and I admire your strength and determination to move forward. I hope the production goes well and is lots of fun. Best wishes. What a cool book! I love Magical Realism too! Thank you for sharing your story! 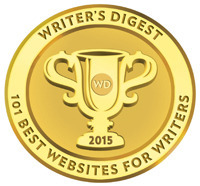 You are a rock star of strength and your story inspires other writers to keep going. The play sounds like an exciting opportunity. Miranda's book has an enticing premise. So glad it made it to the bookshelf. Natalie, you sure have been through a lot of changes. You are strong! Miranda, congratulations on your book! It sounds so good! I’m off to tweet! How exciting! Producing Shakespeare in Love. Awesome! And you've weathered the changes in your life with grace and fortitude. The book sounds wonderful, and I'm a huge fan of magical realism. Good luck with the directing! It's great to meet Miranda and best wishes for a smashing success with The Deepest Roots. Oooo. Shakespeare in Love. How much fun that must be. Happy opening. Another interesting interview. Thanks for that. I will pass on the drawing. I'm buried in books. You are one strong lady! That is a lot of bad to recover from. Good luck with the play. If I was close enough, I would love to see it. Wishing you all the best, and much success with Shakespeare in Love! But especially with your writing goals! 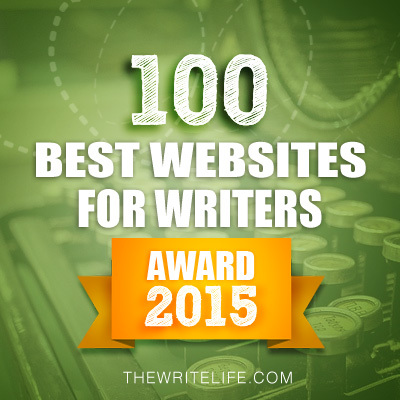 Wow--you've had a lot to deal with, and I'm impressed that you writing and blogging at all! Natalie, I'm sorry for the tremendous losses you've had in your life. You are truly an inspiration for accomplishing so much in times of tragedy. Best of luck with the play! Miranda, Your experience in a mobile home during a tornado was incredible and how wonderful that it inspired the beginning of your book! Thank goodness you weren't hurt! The Deepest Roots sounds like a great read!! :( That's a really rough patch of life. I hope the career writing continues to be positive for you!